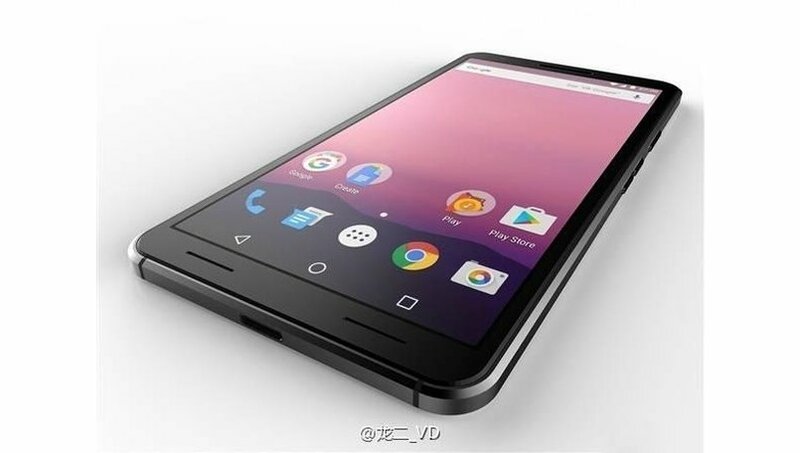 First renders of Google Pixel 2 Design what’s believed to be Google’s next generation Pixel smartphones Design have emerged online. According to the renders, Google Pixel 2 design will come with smaller bezels on the top and bottom of the display. The smartphone has two speaker grilles at the bottom, hinting at possible inclusion of stereo speakers. The side has separate volume buttons instead of a rocker along with a power button. As reported by a Chinese website, the most notable change between the alleged Google Pixel 2 and original Pixel phone is the back panel. The renders reveal a different looking glass back design with chamfered edges, center-aligned camera module, and fingerprint sensor. It basically does away with Google Pixel’s two-tone design. The base has a USB Type-C port, which is no surprise, while the 3.5mm audio jack has remained at the top of the smartphone. While the renders have appeared way ahead of the official launch, expected in the last quarter of this year, they also don’t reveal drastic change over the original Google Pixel smartphone. That said, the renders do hint at a much more symmetrical and compact form factor. Earlier, a few reports had hinted at some radical design changes in the next generation Google Pixel phones. Besides the renders, there aren’t any leaked details about the alleged Pixel 2 smartphones. A few rumors hint at a 5-inch 2K display, Qualcomm’s top-end 835 processor, and both variants of the device will have 6GB of RAM. The Pixel 2, and the bigger Pixel XL 2, could feature support second-gen Daydream VR, and water/dust resistance capabilities with IP67 or IP68 ratings. Google’s Pixel series smartphones had debuted in October this year. Touted as ‘true Google Phones’, the Pixel series has two smartphones — Pixel and Pixel XL. The smartphones have received mostly positive reviews from pundits, who also believe these devices have set new benchmarks in the premium Android smartphone category. The Google Pixel has a 5-inch 1080p display, whereas the Google Pixel XL features a 5.5-inch QHD display. Both AMOLED displays come with a 2.5D curved glass on top, and are protected by Corning Gorilla Glass 4. The two smartphones are powered by Qualcomm’s Snapdragon 821 quad-core SoC paired with 4GB of RAM. The smartphones are equipped with a 12.3-megapixel rear snapper with PDAF, electronic image stabilization (EIS), laser auto-focus, and 4K video recording support. Up front, there is an 8-megapixel fixed-focus selfie camera. The rest of the features include a fingerprint scanner and IP53 certification for resistance to water and dust. The Pixel is backed by a 2,770mAh battery, while the Pixel XL is backed by a 3,450mAh battery. Connectivity options include 4G LTE support, USB Type-C port for charging and data transfer, Bluetooth 4.2, GPS, Wi-Fi 802.11ac and NFC.